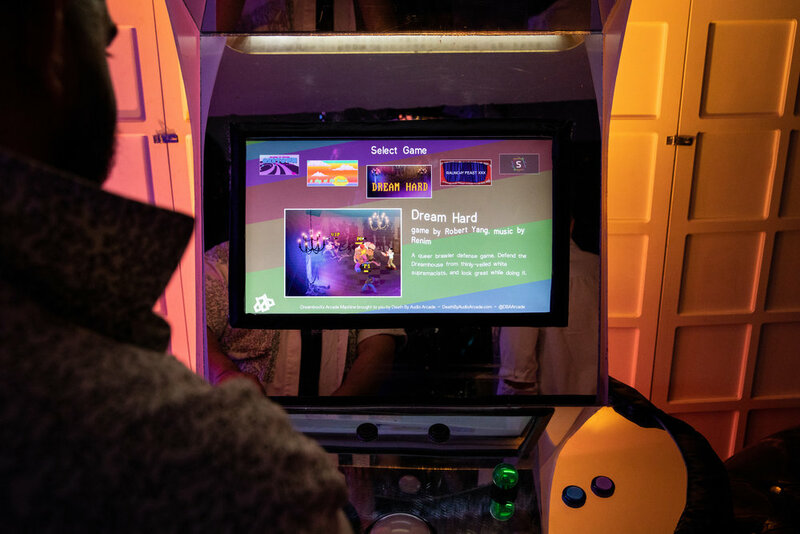 The DreamboxXx is a custom arcade cabinet built by DBAA in conjunction with the LGBTQ venue Dreamhouse in Ridgewood, Queens. 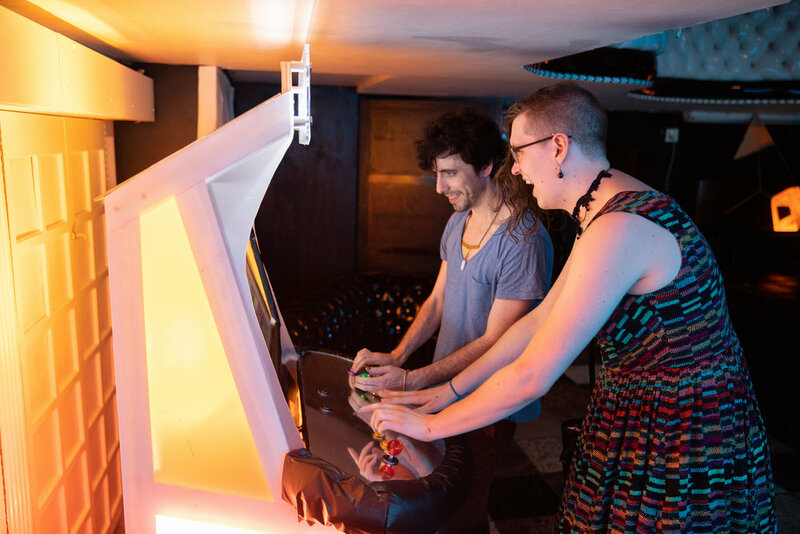 In addition to building them a custom arcade cabinet, we commissioned nine custom arcade games that were meant to live on the cabinet by local queer NYC developers.  The DreamboxXx was built by Mark Kleeb and Kyle Magocs using mostly materials found at the Dreamhouse. The skeleton of the cabinet was framed using 1x3 boards and it was paneled with a combination of mirrored and frosted acrylic panels. The console was built using two pieces of 3/4" plywood and lined with a padded pleather arm rest.